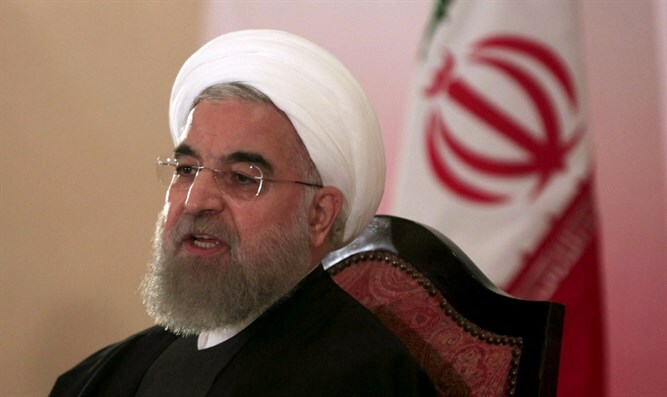 Iranian President insists his country does not intend to interfere with other countries' affairs. Iranian President Hassan Rouhani insisted on Thursday that his country’s military power was "purely defensive", amid tensions with the United States over Iran’s ballistic missile tests. "The Islamic Republic of Iran has showed that it doesn't intend to interfere with the internal affairs of other countries," Rouhani was quoted by AFP as having told foreign diplomats in Tehran. "Our military power is purely defensive," he added. Rouhani’s comments come after a recent escalation in tensions between Iran and the U.S. In late January, Iran conducted a ballistic missile test at the Semnan launch pad, which is located about 140 miles east of Tehran. Following that ballistic missile test, President Donald Trump’s administration imposed new sanctions on 25 individuals and companies connected to Iran's ballistic missile program and those providing support to the Revolutionary Guard Corps' Qods Force. Iran has since that time conducted two more tests, both coming this week. At the beginning of the week, the Iranian government test fired five Sayyad (Hunter) surface-to-air missiles during military exercises. On Wednesday, the Islamic Republic test fired a short-range Mersad surface-to-air missile, which impacted 35 miles away. On Monday, Iran’s Vice President Eshaq Jahangiri said that the “ultimate losers” are those who result to the language of force in dealing with Iran. “The Americans have chosen a wrong path these days and we hope that they will revise their approach and practice interaction,” he said. On Tuesday, Iran’s Supreme Leader Ayatollah Ali Khamenei dismissed calls from the Trump administration to cease the country’s ballistic missile tests, and said that Trump had showed the "true face" of America.